Exciting news! Geoff Wood has created 30minute radio feature about my music for his ABC Radio National show ‘The Spirit of Things’. The program was broadcast on Sunday November 23 at 6:05am on ABC Radio National and will be available to stream for 4 weeks, and for download anytime. 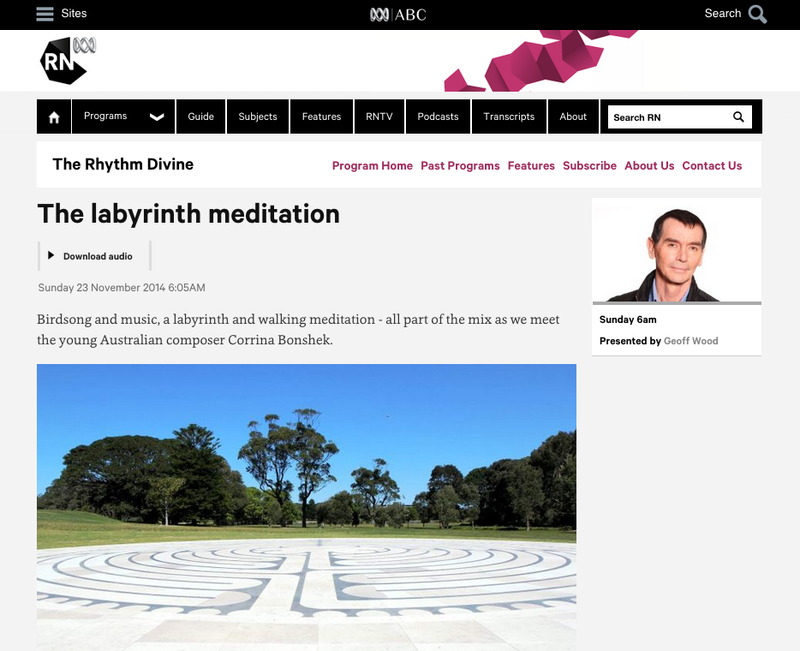 In this feature, I talk about how I came to write music for Centennial Park Labyrinth, my love of birdsong and how I use recorded nature sounds in my contemplative music. You’ll hear two of my pieces in the show – Journey to the Centre for String Quartet with nature sounds by Wild Ambience, and, As Small Birds Play for Bb Clarinet and birdcalls. Go to program page and click download audio to listen.